Platinum PRO is quite simply our best choice, designed for professional painters who demand the highest quality and user-experience. 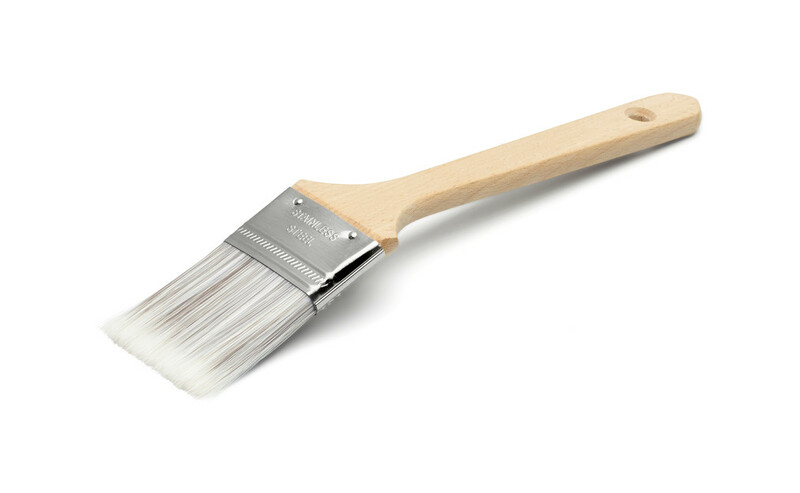 Short angled brushes are suitable for painting woodwork, doors, indoor walls and ceilings. The brushes are durable and have very high paint pick-up and give excellent coverage, which ultimately means that you save time. The synthetic filaments are of the highest quality, and the length are optimized for the best possible user-experience. The brushes are developed for all indoor and outdoor paints (both water-based and oil-based) and for precision painting which gives a superior finish. Platinum PRO brushes have stainless steel ferrules and wooden handles made of beech (hardwood). A BEECH YOU’LL ENJOY THE WHOLE YEAR. The handle is made of beech, and is therefore as durable and solid as one can possibly imagine. The fi laments with Anza’s best brush-mix guarantee perfect results without any marks. A painter knows how it should feel. The wooden handle and brush-composition of Platinum Pro creates that genuine user-experience that makes the job more enjoyable.